The name Parkhurst might strike a chord with hockey fans. This Ontario-based company originally produced hockey and wrestling cards during the vintage-era 1950s and 60s, focusing on Detroit, Montreal, and Toronto teams. 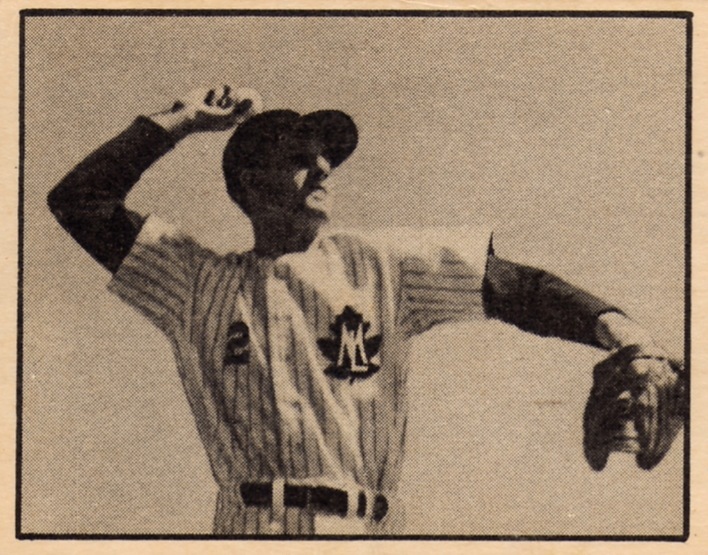 While they eventually left the market to Topps, enough fans remembered them that Pro Set licensed the brand name for new sets in 1991, at the height of modern card production (a.k.a., the junk era). 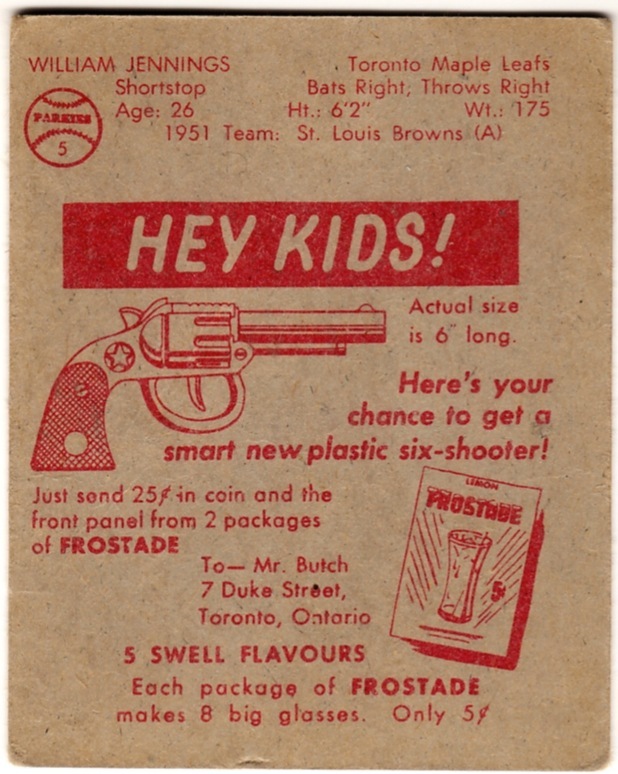 In addition to hockey and wrestling, Parkhurst made this single Canadian baseball set, produced in partnership with Frostade, a competitor to Kool-Aid. It features players from 3 International League teams, all of whom had MLB affiliations at the time: Montreal Royals (Brooklyn Dodgers), Ottawa Athletics (Philadelphia A's), and the Toronto Maple Leafs (St. Louis Browns). Value: Jennings cost me about $5 on eBay. The Dodger stars cost $20 and up, depending on condition.